On Tuesday, January 22, the Ridgefield School District holds its first school board meeting in the Boardroom of the new Ridgefield Administrative & Civic Center. A special ribbon-cutting ceremony is scheduled, and the district will also be honoring its Employee and Students of the Month for January. 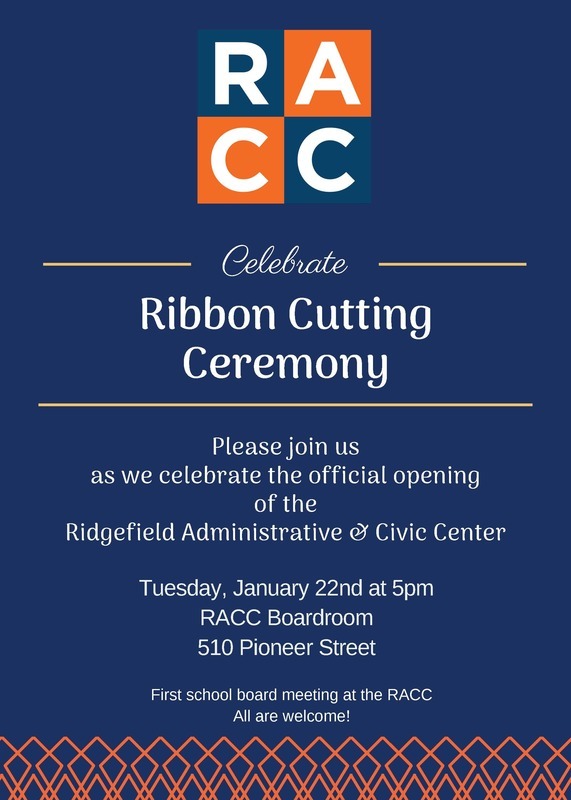 Please join us at the grand opening, celebrate our January honorees, and see Ridgefield’s newest community facility.